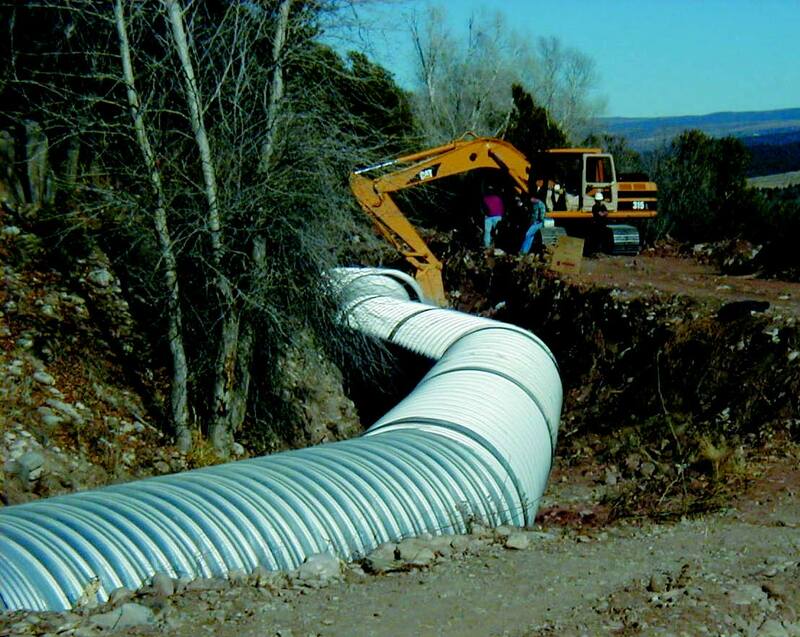 The engineer’s objective was to increase capacity, reduce costly maintenance and limit washouts due to rock and snow slides on this irrigation canal project on a private ranch in Western Colorado. The superior hydraulics of ULTRA FLO combined with the durability of ALUMINIZED STEEL Type 2 allowed the engineer to accomplish his objective. 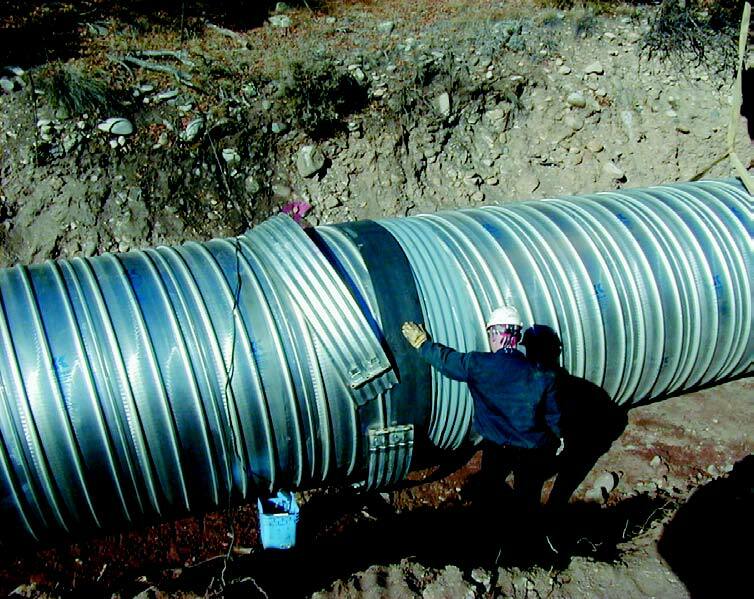 Contech ULTRA FLO Pipe has over 25 years of proven performance on municipal, transportation, airport, shopping center and residential development storm sewer projects. 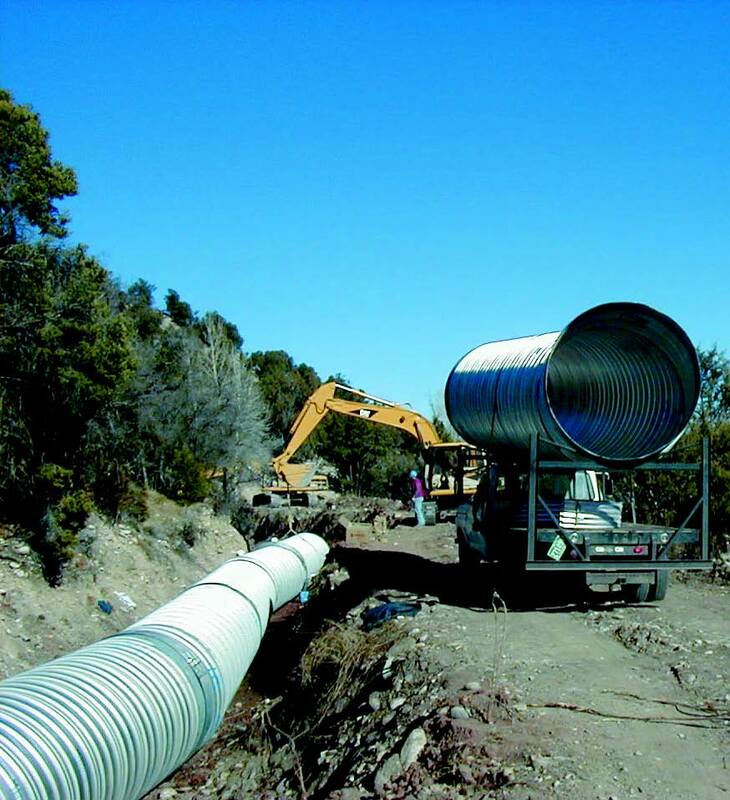 ULTRA FLO’s rapid acceptance is based on its Manning’s “n” of 0.012, structural strength, and faster and more cost-effective installation than concrete pipe. ULTRA FLO is available in a wide variety of materials to meet environmental and service life requirements. The fitting options available to the engineer allowed for a smooth and efficient installation with minimal modification to the existing canal. 110 LF 81-in. x 59-in.